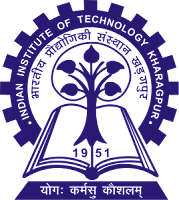 The Indian Institutes of Technology are autonomous public institutes of higher education, located in India. Junior Executive: Candidates who have completed Bachelor’s Degree in any discipline or equivalent from a recognized Institute for IIT Recruitment 2018. Junior Accounts Officer: Candidates who have completed Bachelor’s Degree in Commerce or BBA (finance) or MBA (finance) or equivalent from a recognized Institute for IIT Recruitment 2018. Junior Engineer (Civil): Candidates who have completed Bachelor of Engineering in Civil or Diploma in Civil Engineering or equivalent from a recognized Institute for IIT Recruitment 2018. Senior Library Information Assistant: Candidates who have completed Bachelor’s Degree in Library Science/Library and Information Science or equivalent from a recognized Institute for IIT Recruitment 2018. Physical Training Instructor: Candidates who have completed Bachelor’s Degree in Physical Education or equivalent from a recognized Institute for IIT Recruitment 2018. Staff Nurse: Candidates who have completed Higher Secondary (10+2) and passed the examination held by the Nursing Council with 3 years course in General Nursing and Midwifery or equivalent from a recognized Institute for IIT Recruitment 2018. Assistant Security Officer Grade – II: Candidates who have completed Bachelor Degree or equivalent from a recognized Institute for IIT Recruitment 2018. Driver Grade – II: Candidates who have completed Secondary Pass with Driving License or Secondary Pass with ITI course (automobile or equivalent) with Driving License or equivalent from a recognized Institute for IIT Recruitment 2018. Security Inspector: Candidates who have completed Senior / Higher Secondary (10+2) pass or equivalent from a recognized Institute for IIT Recruitment 2018. How to Apply: Eligible & Interested candidates can apply via online in Official website page at www.iitkgp.ac.in IIT Recruitment 2018.